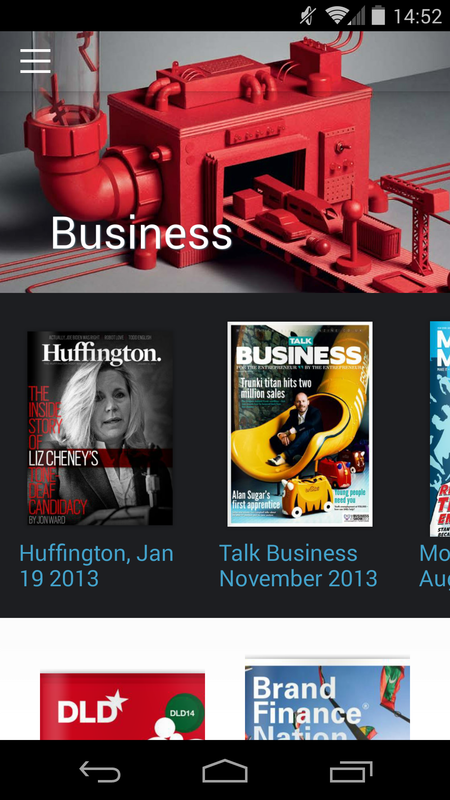 Publication platform Issuu has launched an Android app that allows you to browse its library of magazines, books and other documents. Built for casual discovery over comprehensiveness, there’s no search function but you can browse a feed of the latest titles or explore by categories such as Business, Crafts and Learning – as well as compile your own ‘stacks’ of publications for later reading. We’re told that search will be added within a month, but for now it appears that the full 15 million-strong library isn’t easily available within the app. Instead, a recommendation engine will display magazines you may like based on things you’ve already read. It’s surprising that such an app wasn’t already available, and Issuu says it has targeted Android first because the majority of its mobile Web users are on that platform. An iOS version will follow later in the year. Meanwhile, Issuu has signed a distribution deal to offer the Huffington Post’s ‘Huffington’ magazine on Android for the first time.